Last week was busy on my blog! We had another week of great posts for British Isles Friday — it seems there was some pent-up energy for posts about Great Britain and Ireland in the book blogging community. Don’t miss Becca’s post with a link to a very short video that covers all the accents. Quite astounding. Lots of great book suggestions appeared for the Top Ten Tuesday topic of unique books. My list included Chaucer and Code Name Verity. 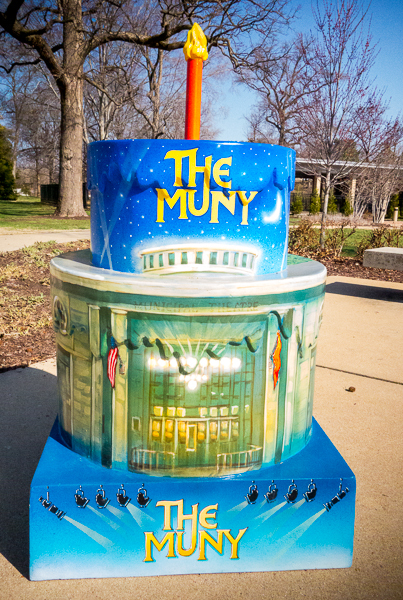 I showed off my drawers (in the kitchen) for Weekend Cooking and displayed the results of my scavenger hunt in Forest Park for the birthday cakes celebrating St. Louis’ 250th birthday. Yesterday, I accepted my second Liebster Blog Award for this blog, this time with a new twist — interview questions! Commenters were most surprised by my responses about invisible friends and comfortable shoes. The Award is making the rounds of writing blogs, right now, but I shot it off toward two book blogs I love — check them out! 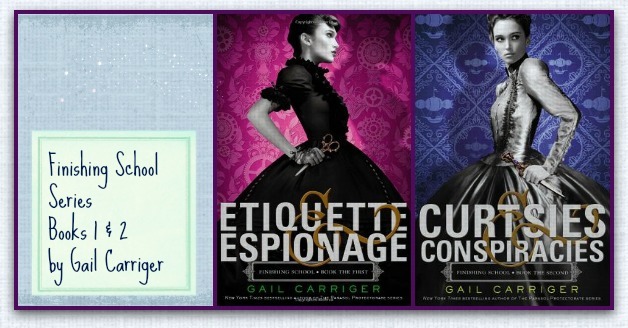 Two books ended up in the same post because I read them back to back and it felt almost like reading one book: Curtsies & Conspiracies and Etiquette & Espionage by Gail Carriger. They were so much fun! The third book was The Murders of Richard III by Elizabeth Peters, a fun English country house mystery about a group of historians who would like to prove Richard III’s innocence of murdering the Princes in the Tower. For National Poetry Month, I’m dipping into A Poetry Handbook by Mary Oliver. I got my Wondrous Words Wednesday post from that about words to describe the sounds that letters make. I have another word post from that book drafted in my head for this Wednesday. I’m still reading Quicksilver by Neal Stephenson, but I got another post from it this week — a great description of the Palace of Versailles during the reign of the Sun King for Dreaming of France this morning. Quicksilver is on hold, temporarily, while I read TransAtlantic by Colum McCann for our book club meeting on Thursday. That book is going quickly, so I’ll get back to Quicksilver earlier than expected. I’m still working through The Diet Fix by Yoni Freedhoff and it’s helping me make some helpful changes to the way I eat. I mentioned this last week, but didn’t get to it yet — Gail Carriger’s series, The Parasol Protectorate, that begins with the book Soulless. Congrats on the Liebster award, always fun to answer those questions. The Murders of Richard III sounds nice, adding to my list! Have a great week. The GailC series has been on my intrigue list for to long, I may try one this year. Hi Joy, Many thanks for stopping by Pen and Paper. Its been nice meeting you. A big fan of historical fiction, I haven’t actually read anything by Gail Carriger but will be sure to keep a look out for her books.